I don’t use it much, but I do have Tinder, and occasionally someone swipes right on me. This one guy, L, matched with me a couple months back and we had a little bit of back and forward. He’s a couple years younger, has the same job (but in a different place), and has a fair few similar interests. Thanks to the wonders of Tinder I knew that we had 24 mutual Facebook connections (which, honestly, is on the low end of the scale) but to my huge surprise, I had never met or even heard of the guy before. After a bit of banter back and forward for a few weeks, and the passing suggestion that we should catchup thrown from both sides, I got the message, “Wanna hang sometime? I’m free this Sunday if you have time 🙂 “. This is the confusing thing with Tinder. If someone on Grindr says “Wanna hang”, you know that means “Wanna bang”. But on Tinder, you never know. But, most guys seem to be a bit more upfront, and so far the conversation with L and I had been entirely above board- which is great- so I assumed he meant actually hang out. As friends? As a date? I shot back “Yeah, I’d like to” and then gave him my number. An hour and a half later I got a text from him asking when I was free. Well, he’s interested at least. It’s still the awkward stage of wondering whether this was a date or just hanging out, and I didn’t want to ruin anything potential by asking- friendship or other. Luckily, after a bit of a chat, I ask what he wants to do and he responds “So far I’ve thought of lunch/dinner/movie. I’m clearly not great at date ideas haha”. Date confirmed. I tell him not to worry about it, and that I’ll take care of the planning. We organise it for Sunday lunch, and all he has to do is follow my instructions. The weather was great- 25 degrees and not a single cloud about: endless blue skies, and still blue waters. I figured I’d take him on a date that would test to see if he’s my kind of guy, but also being a bit fun and unique. Sunday morning I packed a big picnic lunch, strapped my kayaks to my roofracks, and sent him a map of where to meet me. I misjudged the distance from his a bit and made him drive nearly an hour- but he seemed ok with that. Meeting him at a boat ramp, I surprised him with the kayaks. He said he hadn’t been kayaking since he was in Primary School, but that he loved the idea. We didn’t go far, about a 40 minute paddle around some mangroves and wetland areas before stopping for lunch and digging into the picnic spread. In retrospect, great idea but I might have taken him to a different location. It was fairly busy (with boaters and kayakers), but the area isn’t exactly pretty. Also, sitting in two separate kayaks for 90% of the date meant there was very little intimacy and a conversation was often hard. So the challenge would be that if there’s a second date, it needs to allow for these things. But with little more than a hug goodbye and a bit of awkwardness between us, would there be a second date? 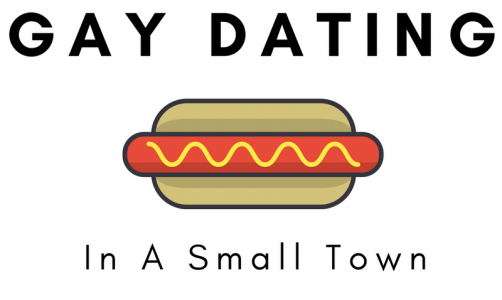 Next Post When Is A Date A Date? Damn, the date plan (kayak, and picnic lunch) is an epic first date. This guy is lame for not locking you down! I think that was an awesome idea for a first date. This whole story reads as very sweet and innocent. So, was as there a second date?